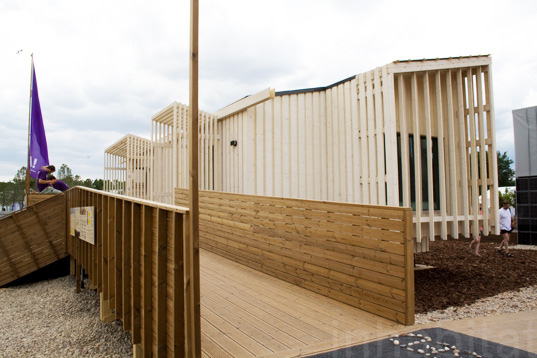 Finland’s Luukku House Wins Architecture Prize at Solar Decathlon! The first place winner of the architecture portion of the European Solar Decathlon has just been announced, and the prize goes to… Team Finland’s beautiful wood-clad Luukku House! The Luukku House (the term refers to a small hatch or door, and is also a colloquial term for a residence) follows a longstanding Finnish tradition of extensive and inventive use of wood as a construction material. Wood is also a low-embodied energy material, and the Luukku House team has calculated not only the carbon footprint of the building construction (14,778 kg), but also the carbon storage the building represents (26,245 kg). The Luukku House was created by Team Finland, an inter-disciplinary collaboration under the Aalto University which combines the Helsinki University of Technology, University of Art and Design and the Helsinki School of Economics. 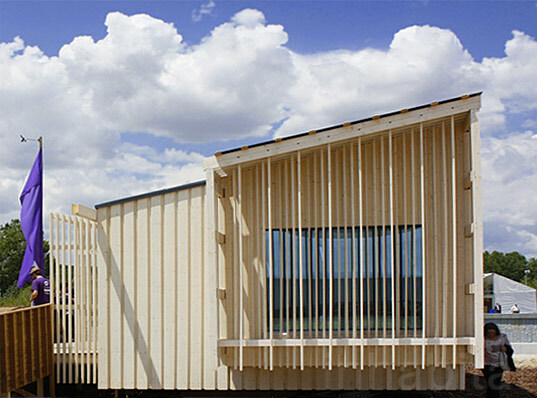 Wood is used for the Luukku House’s structure, insulation, cladding, interior floor, wall and ceiling finishes, for moisture and heat buffering qualities and applications in very wet areas such as bathrooms. Quadruple-pane windows with thermal breaks are fixed in place to provide excellent airtightness and to help prevent heat loss. The building is very well insulated and constructed to be very airtight. Moisture control is also accomplished with wood panels that are profiled to create a very large surface area, allowing the material to act as a thermal and moisture buffer for the building. 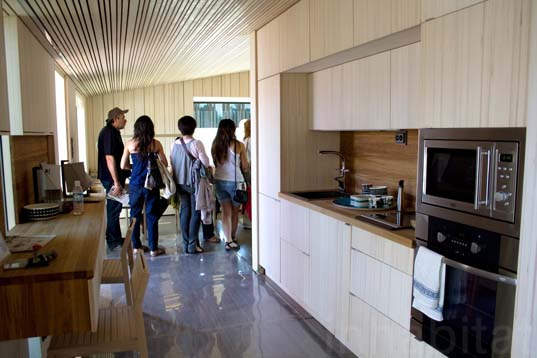 Finland's Luukku House Wins Architecture Prize at Solar Decathlon! 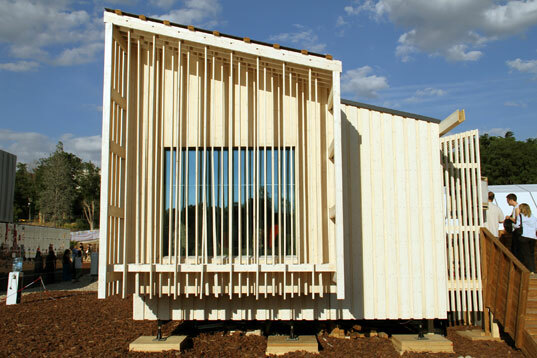 The first place winner of the architecture portion of the European Solar Decathlon has just been announced, and the prize goes to... Team Finland's beautiful wood-clad Luukku House! The Luukku House (the term refers to a small hatch or door, and is also a colloquial term for a residence) follows a longstanding Finnish tradition of extensive and inventive use of wood as a construction material. Wood is also a low-embodied energy material, and the Luukku House team has calculated not only the carbon footprint of the building construction (14,778 kg), but also the carbon storage the building represents (26,245 kg).